With the holiday season behind us, the stress and hurry of parties and gift giving may be gone, but with its absence can come a sense of malaise. While some of us jump on resolutions and a sense of new years’ optimism, this can also be a time of struggle. Call it winter blues, blame it on the cold and dreary weather or a distinct lack of holiday cheer, but there's something about these winter months that can make productivity a slog. Getting through the day can be a gargantuan task. How do we ensure that we're not just going through the motions during a potential slump? More than that, how do we actually achieve productivity and creativity? It's not just about going through the motions. I want to be at the top of my game all year! 1) Really focus on your health. One of the best things you can do for yourself when battling feelings of seasonal depression, a lack of motivation, fatigue, and general malaise is focus on your health. There is a holistic element to this, but you can break it down into three main areas: food, exercise, and sleep. During the holiday season, we eat a lot of junk: desserts, candies, and rich, heavy meals. These can weigh you down, make you feel tired and sick, and throw off your body when eaten in excess. While it's easy to stick to bad habits when these foods are hanging around the house, do yourself a favor and switch gears. Go back to healthy eating. Throw out the holiday sweets. You don't have to eat them all, I promise. You will have more energy, more brain power, and feel better overall. From there, focus on sleep and exercise. Go for a winter walk. Do squats during your favorite TV show. Hit the gym. Go to bed on time. These things make all the difference in the world to how you think, feel, and focus during the day. 2) Make working fun for yourself. Gamifying your workday can seem silly, maybe even childish. It could, however, be just what you need to make your goals exciting and interesting during those difficult winter days. This could take the form of office-wide competitions, or even setting goals for yourself with a prize (perhaps something you've been wanting for yourself, or a nice meal) at the end of it all. Sometimes all you need to be productive is the proverbial carrot on the end of a stick. That might look like a leaderboard in the office and some friendly competition among peers. Whatever makes working fun and productive, do it! 3) Turn up the social aspect. Winter can be an isolating time. This is especially evident post-holidays after we've spent a lot of time around family and friends. If you're not careful, this isolation can cause you to feel depressed and unmotivated. Don't allow yourself to become shut off. Instead, reach out to co-workers. Go out after work, shoot the breeze. Take opportunities to have lunch. Poor weather can make us want to retreat and adopt a “do nothing” attitude, but it's far more beneficial to surround yourself with peers who can lend you their energy and collaborative spirit. One of the leading causes of SAD (seasonal affective disorder) and other productivity problems that come with winter time is the distinct shortage of natural light. The days are shorter, and the sunlight that we do have is distant and often overcast. This lack of sun can drain our energy along with our motivation. 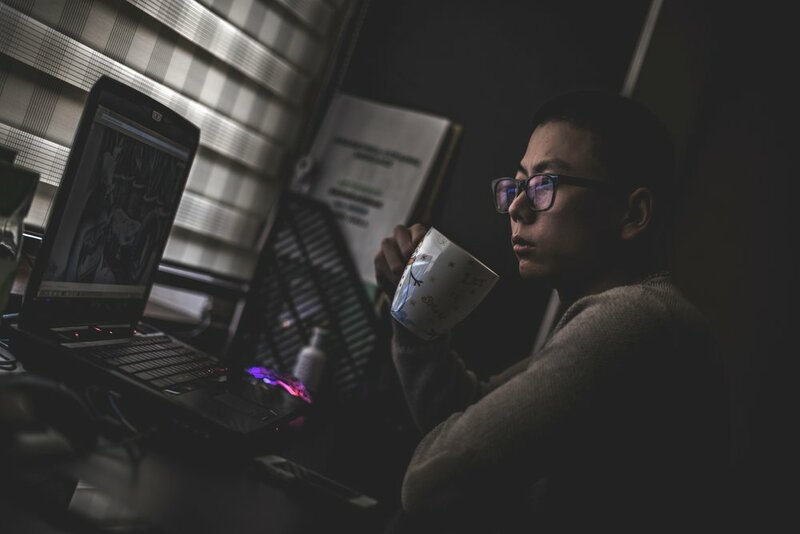 When you're head-down, staring at a computer screen, you might not realize how dark it's getting in your workspace...or how much it drains your will to work. Bring in a lamp or two to brighten up your space when the sun is not sufficient. It will help you stay engaged, awake, and in a better space mentally and emotionally. Regardless of what causes your winter blues, they almost always take a toll on our workplace productivity. The good news is that we don't have to suffer through the season in silence. There are steps we can all take to get on track and make the most of these chilly winter months. What helps you stay focused and engaged when you're feeling down? Share your tips in the comments.